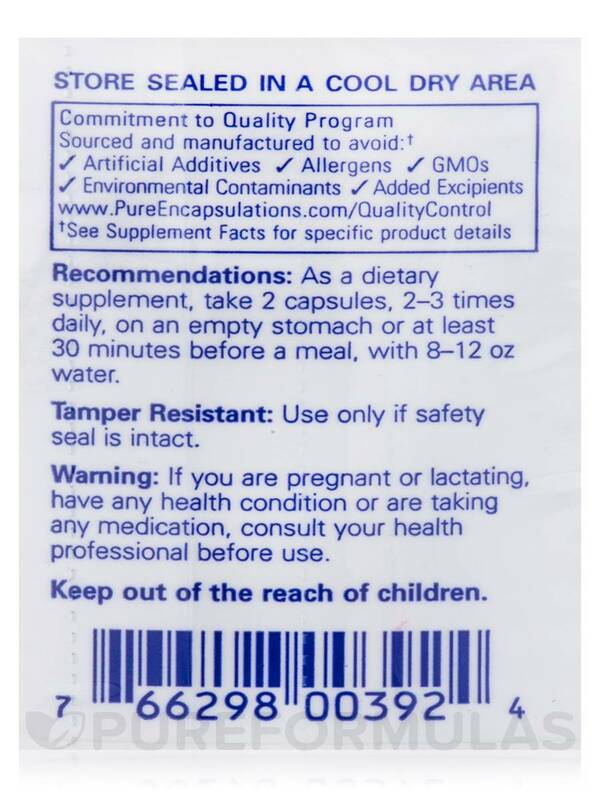 I've been using this Colostrum (Contains 40% IgG) by Pure Encapsulations for years. It's the most effective brand and very helpful in my quest to keep my GI tract healed. Shortly before and immediately after person gives birth‚ her mammary glands produce a substance called colostrum. This is the very first breast milk‚ and is thought to have potential health benefits. It contains immunoglobins‚ which may activate immune cells in order to protect you from sickness. Meanwhile‚ lymphokines‚ interferons‚ and interleukins are also involved in immune health. Colostrum 40% IgG by Pure Encapsulations provides bovine colostrum‚ sourced from American dairy farms certified by both the USDA and FDA. This colostrum comes from cows that are free of antibiotics‚ pesticides‚ hormones‚ and BSE. For maximum nutritional activity‚ the colostrum in each capsule is processed at low levels of heat and defatted. The 450 milligrams of colostrum in this supplement has been standardized to contain 40 percent IgG. IgG is immunoglobin G‚ which may have a neutralizing and detoxification effect. While it is the one with the highest concentration in Colostrum 40% IgG‚ you can also get immunoglobins A‚ E‚ D‚ and M in this product. 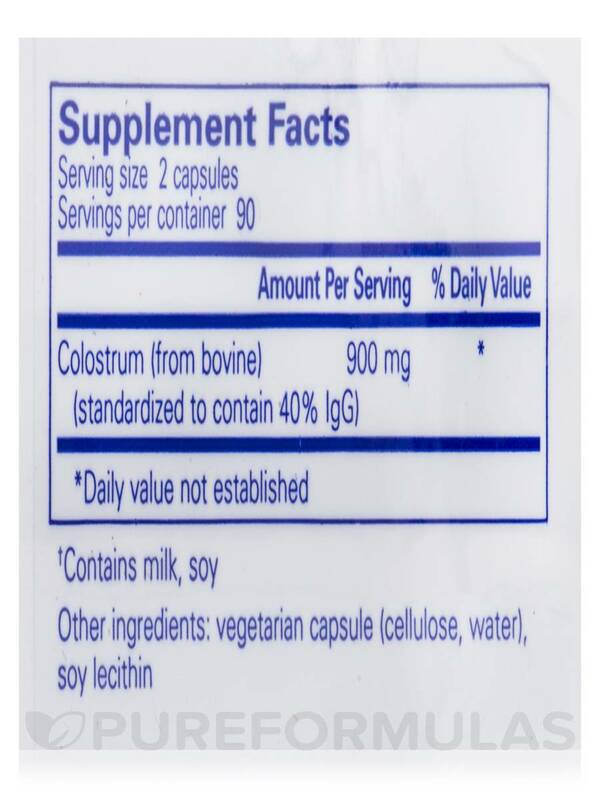 Colostrum 40% IgG can also support intestinal health. In particular‚ lysozyme and oligosaccharides may promote the growth of friendly bacteria‚ as well as maintaining healthy intestinal membranes. Lactoferrin is an iron-binding protein that supports the functioning of your intestines‚ while simultaneously working to stimulate immune cells and help the body utilize iron. 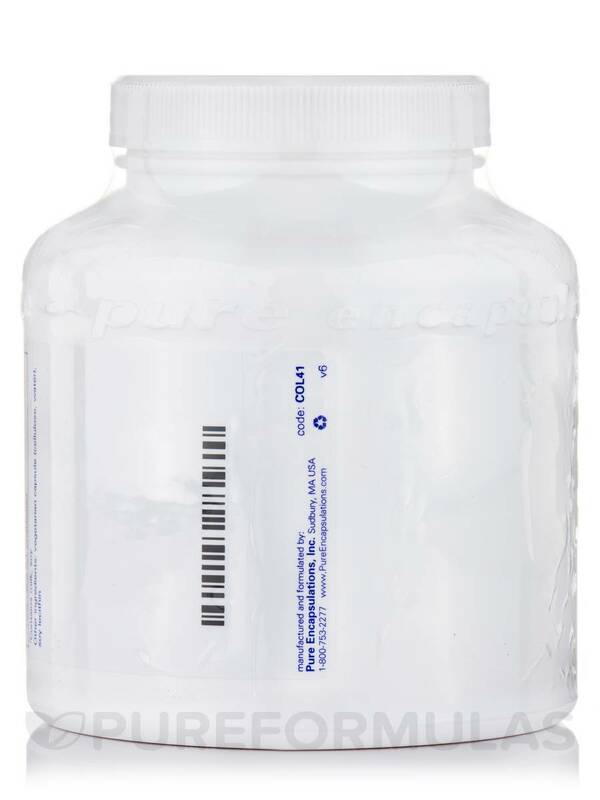 Take five to seven capsules daily‚ in divided doses with eight to twelve ounces of water. 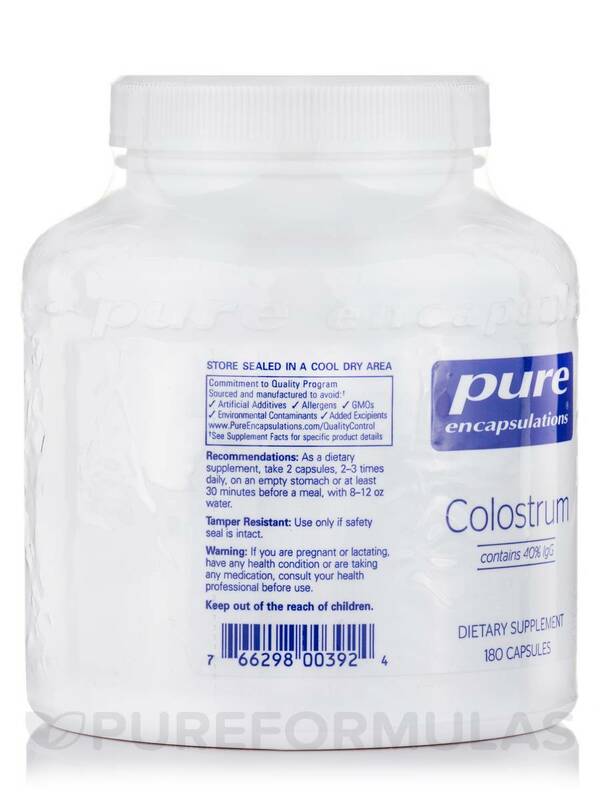 You can take this colostrum supplement on an empty stomach or at least half-an-hour before a meal. At the recommended dosage‚ each 180-capsule bottle of Pure Encapsulations' Colostrum 40% IgG should last from 25 to 36 days. 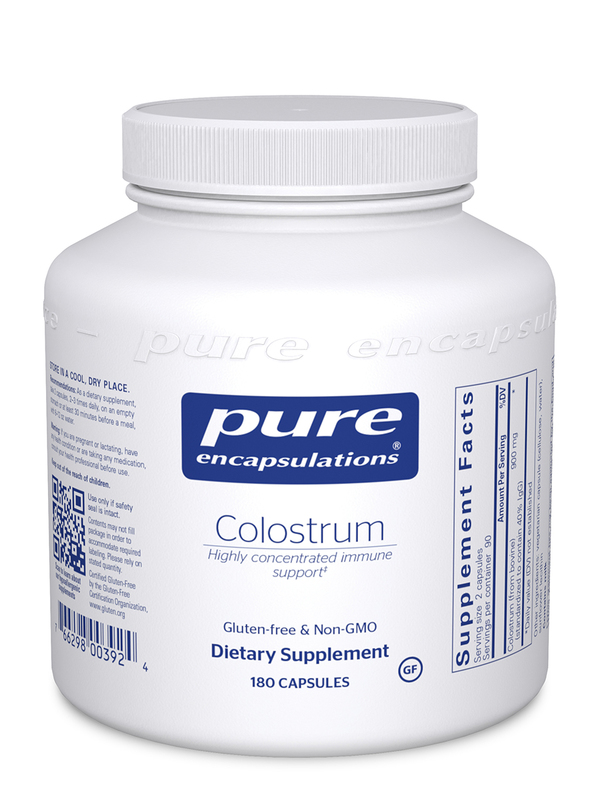 I love these Colostrum (Contains 40% IgG) by Pure Encapsulations. They help me a lot with building up my bones. I am currently using this Colostrum 40% IgG by Pure Encapsulations for my dog. This is a great product to have around your house if you have dogs. When she had diarrhea previously, I fed her these, probiotics and meals with no oils or fats and she recovered quickly as compared to without this product. I initially bought them for myself but find it hard to find the chance to eat it because I am already using several products that I have to eat on empty stomach. Even though my dog no longer has diarrhea, I feed her these, two caps a day an hour before dinner to support her immune system. A great effective clean product.